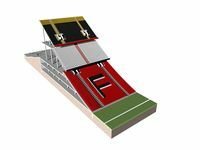 The project named De superKuip is based on the idea that existing, almost 80-year-old two tiers of seating should be remained, but all the infrastructure surrounding them will change. Both tiers will change slightly, getting new staircases and entrances. 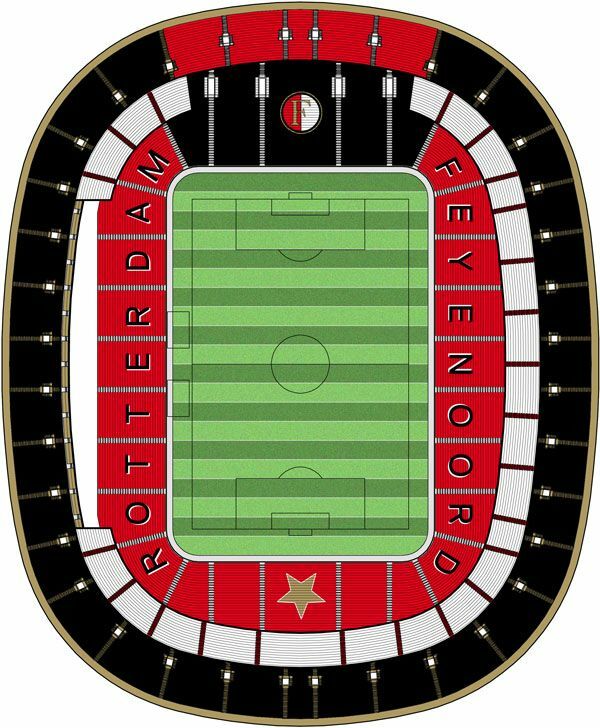 With sightlines from the two oval rings still very decent, the pitch would be lowered and make way for a third, rectangular tier. This way fans would get as close as 8 meters from the action instead of 11+ today. 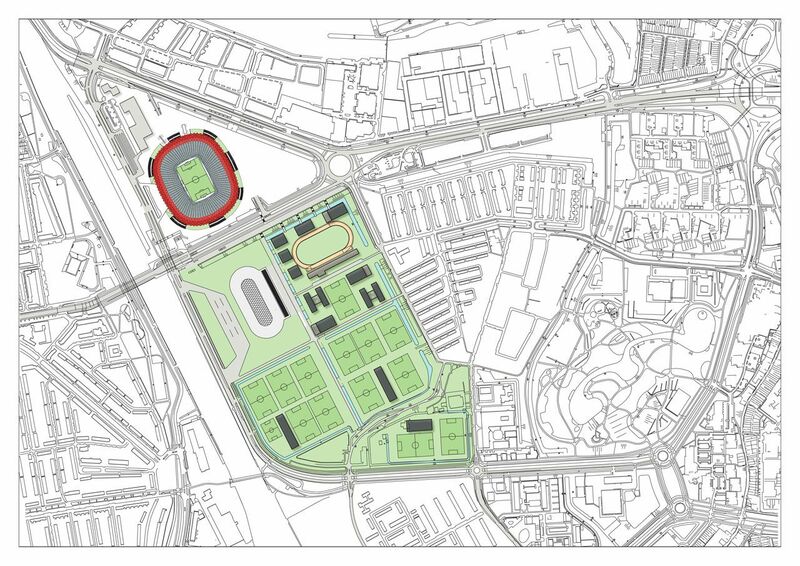 The existing lower ring will lose sections in two places – west stand’s business section would be built here, bringing hospitality zone closer to the field. 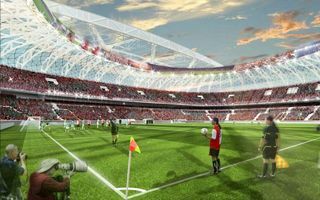 The other is the north end, where a large Kop-shaped stand will span from field level upwards to the upper ring. 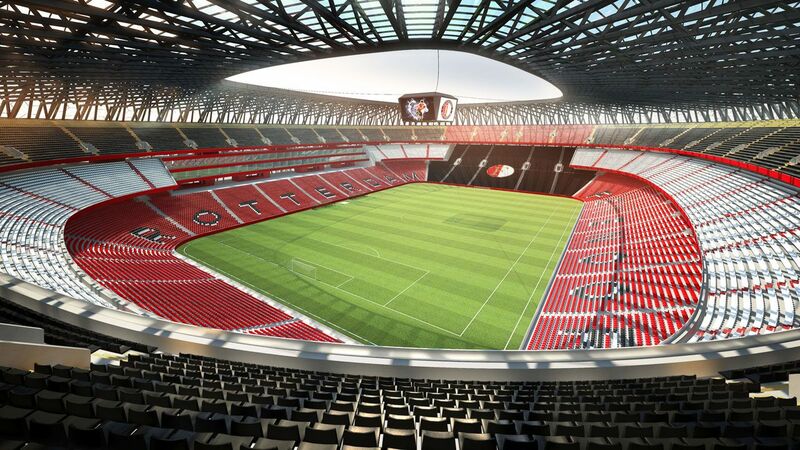 Accommodating 12,000 standing people, it should become the new, improved heart of vocal support. 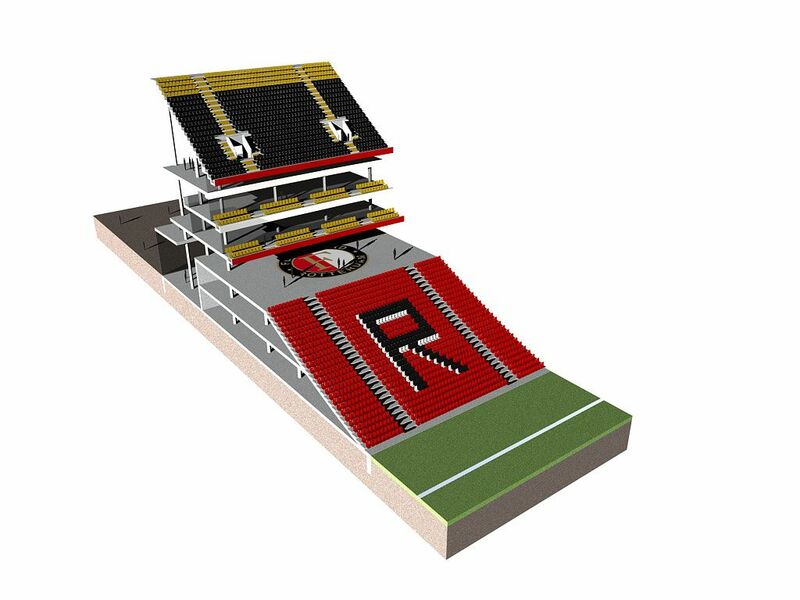 The rethought seating layout will be enclosed by a completely new roof structure. 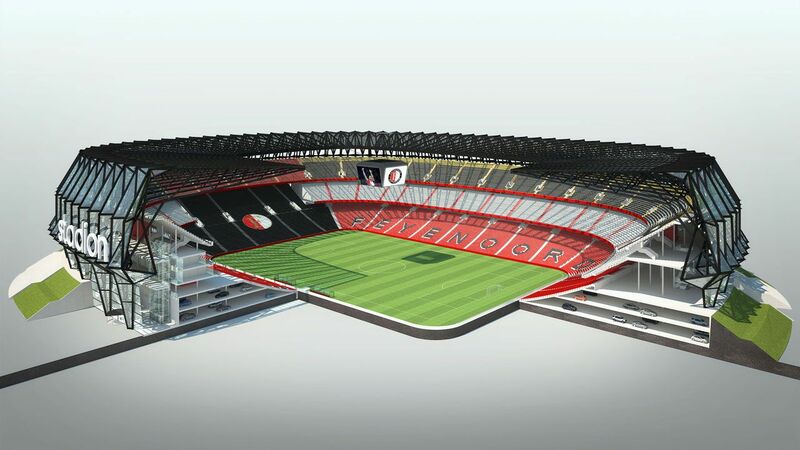 Monumental black steel structure will make De Kuip overwhelming for away teams and together with new Kop stand is expected to give Feyenoord “1:0 advantage before the game begins” – or so wish Volker Wessels. 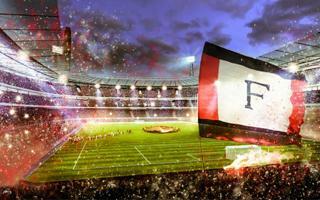 Four giant screens are to be hanged centrally over the pitch. 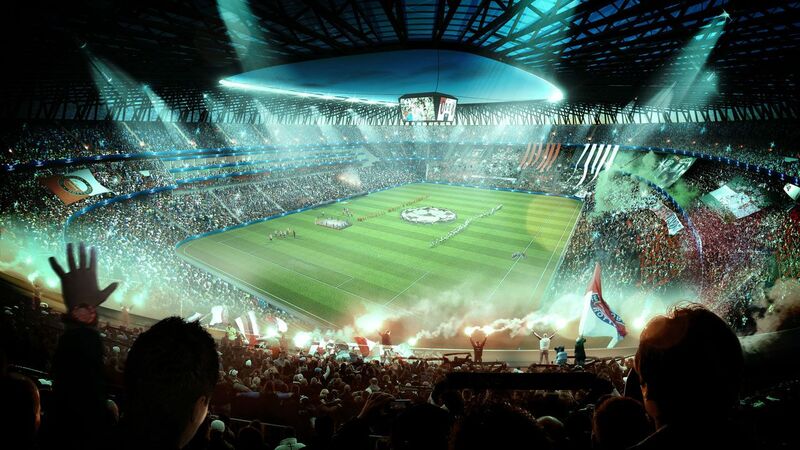 Redevelopment of the stadium is to be phased, with no less than 40,000 capacity available at every stage. 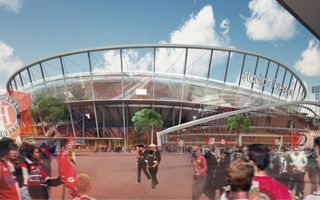 This way the club could constantly hold games and with the west stand planned for reconstruction first, new business spaces will be available already during reconstruction of the stadium. 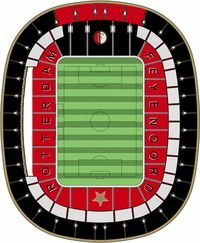 After three years the club should already have 63,000 capacity and immense revenue potential to surpass all Dutch competitors. 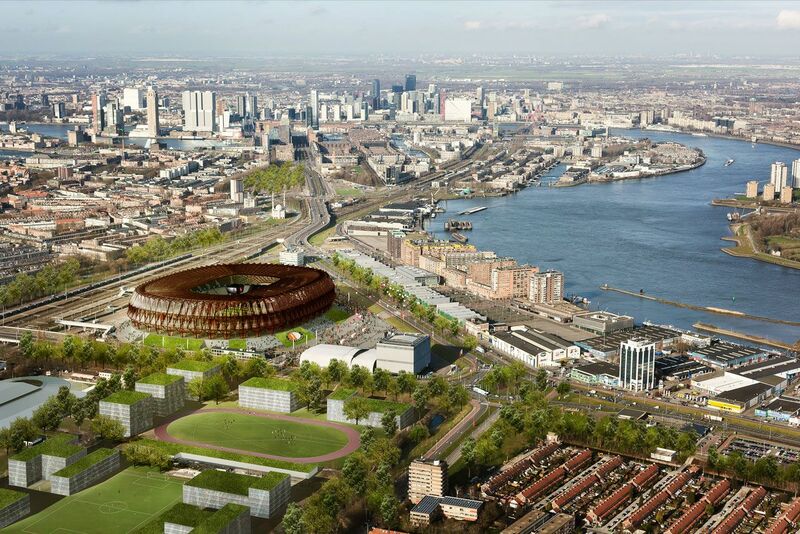 Volker Wessels also assure the stadium may be expanded to 70,000 without major structural interference. 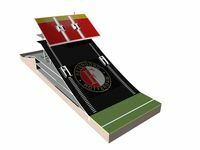 The price of all proposed features depends on features demanded by Feyenoord. Volker Wessels put it between €175 million for very basic version and €250 for best equipped one. The simply-put rule is that the more is spent, the better commercial potential is achieved for future use. 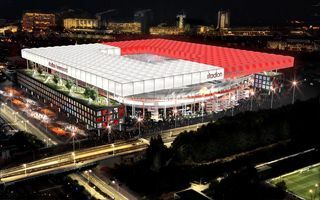 Conceptual vision by BAM Sports was confirmed to have won De Kuip’s revamp today. 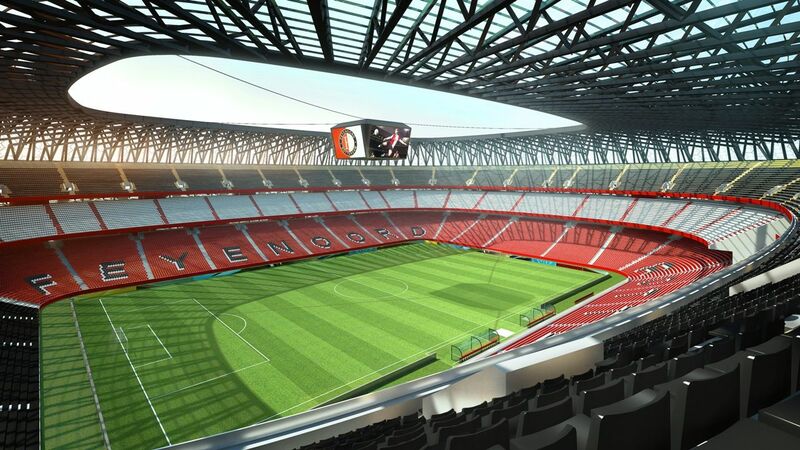 The old stadium will grow to 70,000 and become by far the largest in all of Benelux. The only candidate-vision of Feyenoord’s stadium redevelopment so focused on exposing the historical structure. 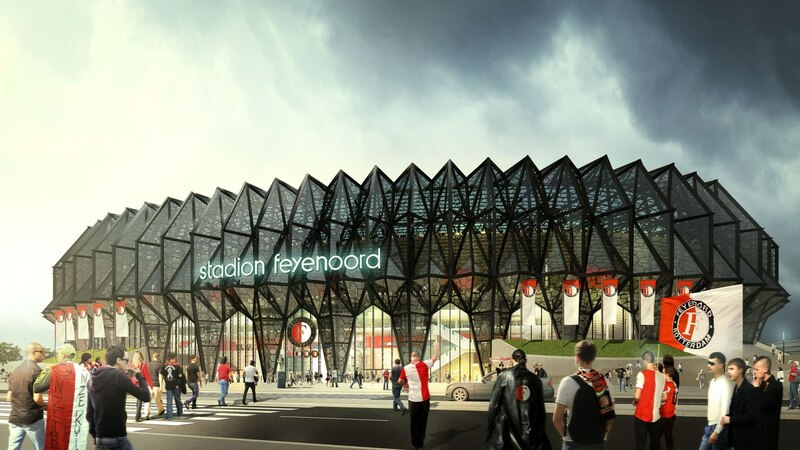 Erick van Egeraat thinks a tribute to initial creators is key for new De Kuip. Holland’s most famous stadium may become even more recognizable thanks to a massive illuminated roof. That’s almost 100,000 sqm of bright ETFE membrane. 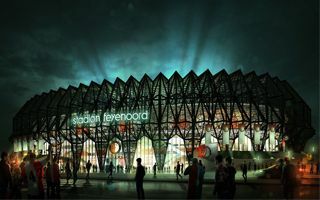 They are the last key player to prezent their vision of how Feyenoord’s new stadium should look. Volker Wessels took full advantage of it and prepared their presentation better than anyone else.